Carolina is an internationally renowned art conservator. She has worked and taught preventive conservation of cultural materials since completing her conservation training in Florence, Italy in 1981. In Italy, as Managing Director of a large team of professionals, Carolina was involved in the conservation of collections belonging to the Italian State and various national and international institutions. In 2001 she moved to New Zealand where she worked for six years as a painting conservator at the Museum of New Zealand Te Papa Tongarewa. Carolina worked predominately on the Museum’s painting collection carrying out preventive conservation and providing care for art collections on loan and exhibitions. Carolina collaborates with conservation professionals nationally and internationally. Carolina manages the studios in Wellington and Auckland and also directs conservation and restoration projects, large and small scale, on heritage buildings throughout New Zealand. She is also Teaching Associate at Victoria University of Wellington. Maria has a Bachelors Degree in Theology specialising in Cultural Heritage and a Masters Degree in Project Management from the University of Bucharest. After completing her training in 2002, Maria spent some time travelling and working in Italy. After travel she worked on preventive conservation projects of old Byzantine churches and icons in her native Romania. 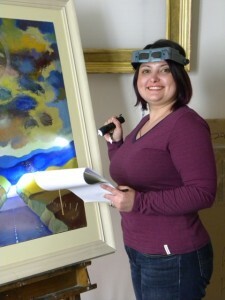 In 2013 Maria joined Studio Carolina Izzo and has extended her field of expertise under Carolina’s training, carrying out preventive conservation for easel paintings and heritage objects. Riccardo Scott has a Bachelors of Design with Honours, specialising in illustration. Currently, he works remotely from France and Italy, as a technician for the studio. 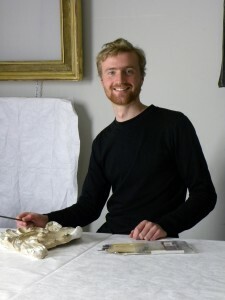 His focus is on restoring and conserving gilded frames and sculptural artworks. Riccardo also prepares the graphics for the Studio. As well as working for the studio, Riccardo is a part-time illustrator, designing children’s books and jewellery. He is passionate about surfing and the arts. Manuela has a degree in Art Conservation of painting on canvas and wood from Istituto per l’arte ed il restauro Palazzo Spinelli in Florence. 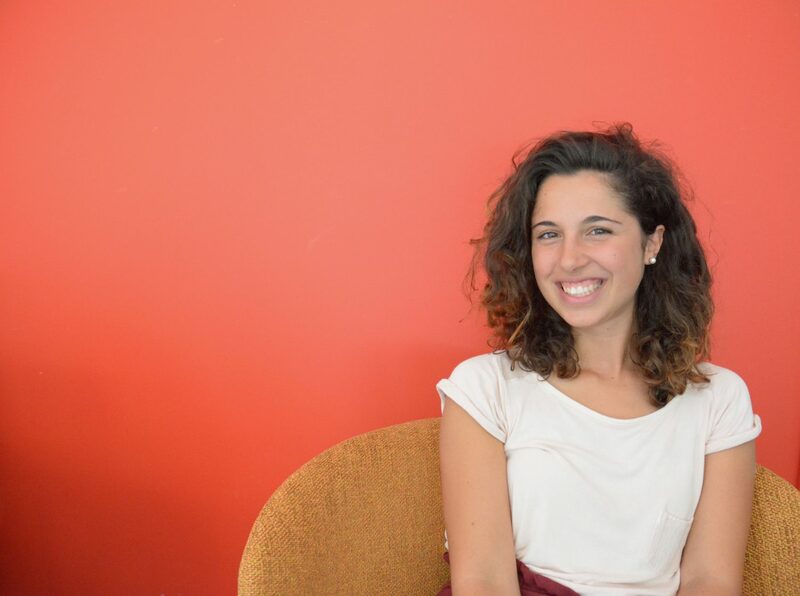 In 2017, she was an intern for Studio di restauro Laura Amorosi in Florence, and in 2018, for Studio di restauro Leonardo Severini, in Rome. Previously, she also studied Cultural Heritage Conservation at La Sapienza University in Rome. In 2018, Manuela joined Studio Carolina Izzo and extended her field of expertise under Carolina’s training, carrying out preventive conservation for easel paintings and heritage objects. Manuela loves hiking, travel and discovering New Zealand’s amazing places. Alicia studied with the University of Auckland earning a Bachelors in Art History and Ancient History. In 2017, she was awarded First Class Honours in Museum Studies and Cultural Heritage, for her project that explored the cross-cultural encounter between traditional Quechuan and Spanish colonial styles of church-building. Her studies took her to Peru, where she examined and studied the beautiful San Pedro Apostol in Andahuaylillas. In 2019, she became a part-time member of the Studio Carolina Izzo team. She also works as a Collection Technician of Manuscripts for Auckland War Memorial Museum-Tamaki Paenga Hira. Alicia loves camping, and eating! Giorgio studied and completed a Bachelor of Architecture at the University of Auckland in 2018. Throughout his studies, he has worked part-time at Studio Carolina Izzo as our accounts manager. Giorgio loves surfing, architecture and music.